Kids love to play in the sand and this large sandbox gives children the space required to play together. 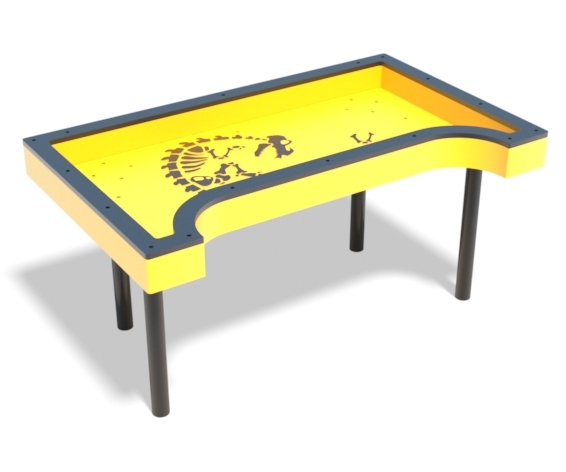 Includes a support bar to transfer into the sandbox for children with disabilities. Include a steel perforated roof to provide shade, because sand can get hot. Kids love to play in the sand and this large sandbox gives children the space required to play together. 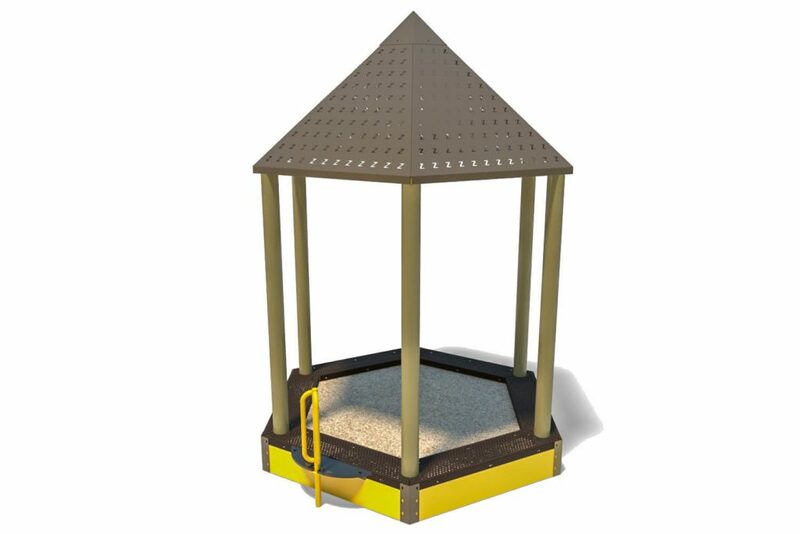 Includes a support bar to transfer into the sandbox for children with disabilities. 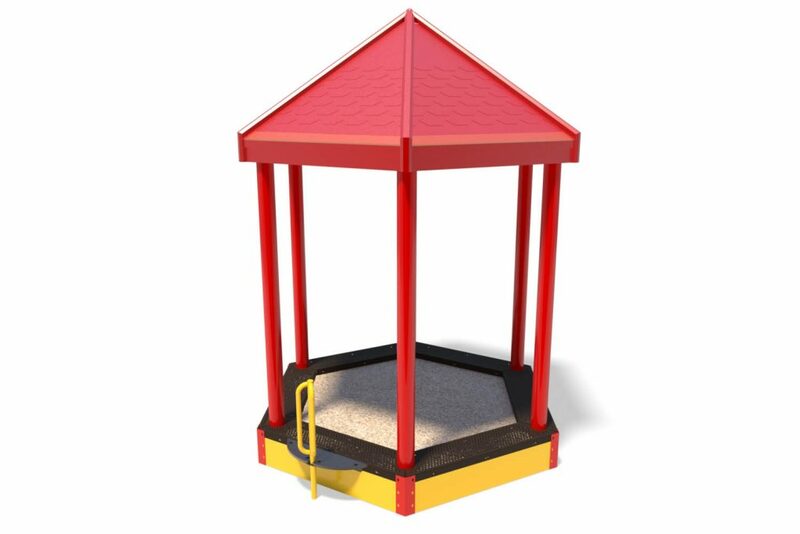 Includes a durable plastic roof to provide shade, because sand can get hot. Kids can discover the hidden dinosaur skeleton underneath while they play with the sand. 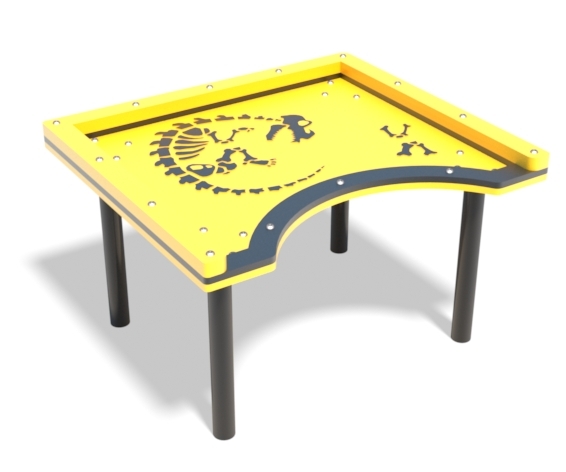 Great addition to any playspace. 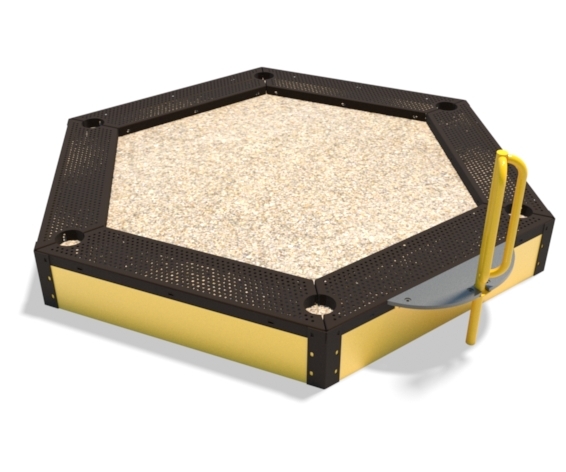 Wheelchair accessible, this sand table is a great addition to any accessible playground route. Kids can discover the hidden dinosaur skeleton beneath the sand. *sand not included. Model No. 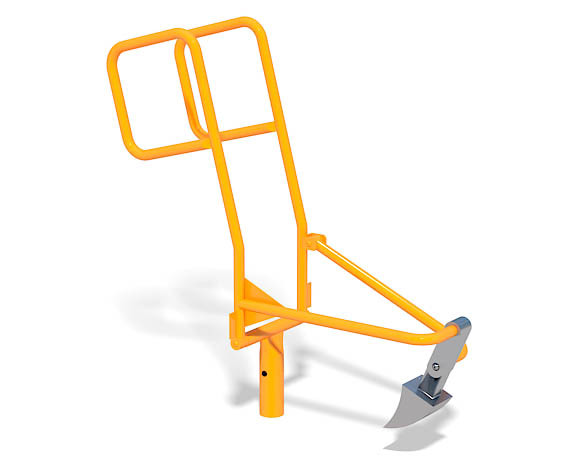 TE012 Best User Age: 1.5 to 12 A fully-functional digger with moving arms and bucket. 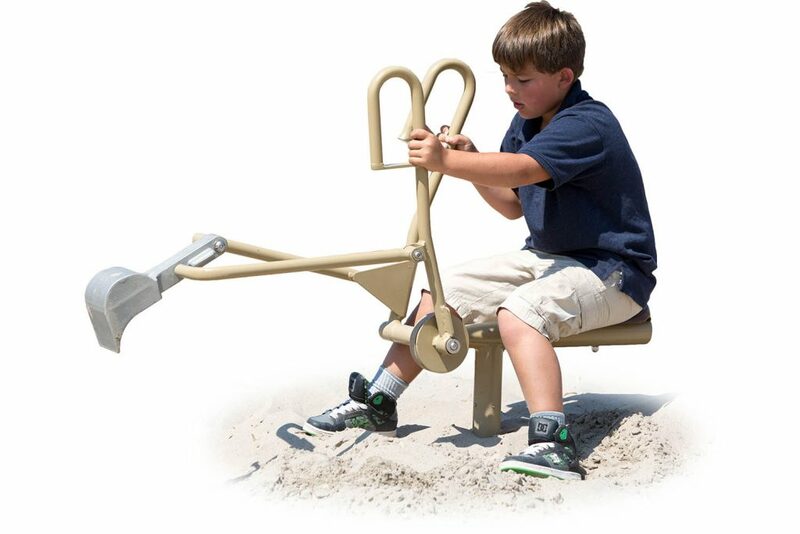 Designed specifically for children in wheelchairs. Model No. TE010 Best User Age: 1.5 to 12 A fully-functional digger. Complete with molded seat, moving arms and bucket. Rotates 360 degrees. Accessible version also available.